all Free & Clear is recommended #1 by dermatologists, allergists and pediatricians for sensitive skin. It is tough on stains, yet gentle enough for the whole family. There are no perfumes or dyes. 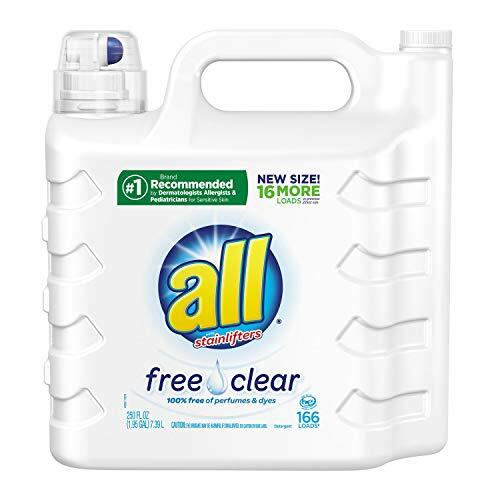 all Free & Clear removes 99% of the top everyday and seasonal allergens. 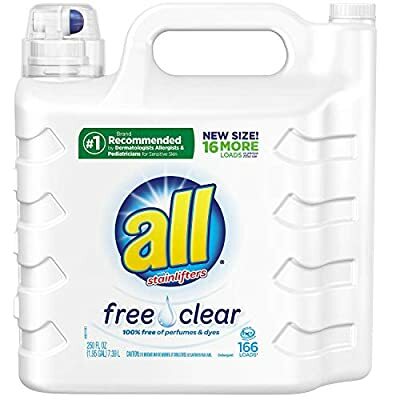 This detergent is also HE safe for use in all washing machines.